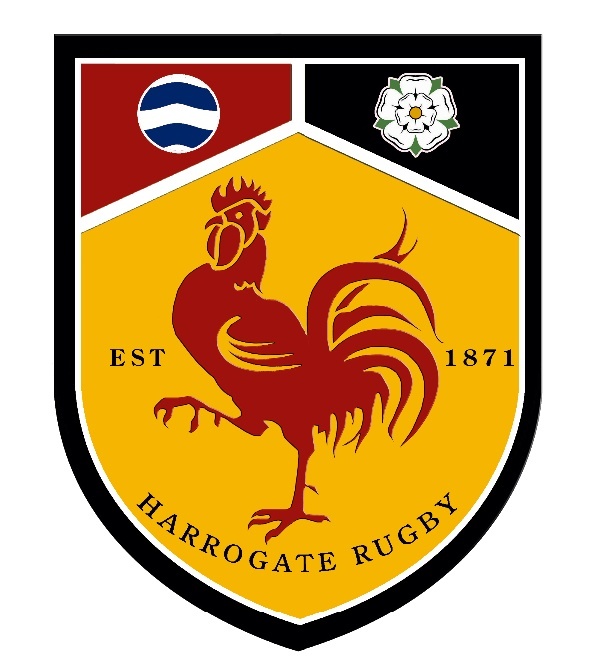 Harrogate Rugby was formed back in 1871. The first ever match, played against Leeds was on 16th December 1871 on the area currently known as the West Park Stray. Although Harrogate were defeated, they learned the game quickly and remained unbeaten for the first four seasons until 1876. The 1st team has always been in the National Leagues and currently play at National 2 Level. In addition the club caters for all levels of rugby and has been a breeding ground for many talented rugby players coming through the ranks. The club has a brand new purpose built club facility, including gymnasium, physio room, showers and changing facilities. In addition on the impressive 26 acre site Harrogate Rugby boasts five full size newly established playing pitches, a number of training areas and modern catering and social facilities. The coaching team at Harrogate Rugby is headed by RFU Level 3 Coach David Doherty ex Premiership player with Wasps,Sale and Carnegie. The coaching team includes Andy Boyde (ex Carnegie and Doncaster Knights),Rob Rawlinson (ex Carnegie) and Mike Ashford. Harrogate Rugby recognises the importance of Strength and Conditioning for modern rugby players and is one of the few Clubs to employ a specialist. Kevin Shattock has over 15 years experience working with elite athletes, including 5 years in rugby. He is a certified S&C specialist and gained his MSc at the University of Salford. Harrogate Rugby has developed a unique player development pathway. Working closely with the junior section and also new recruits to the club, the coaching team manage the progression of talent from Junior to Senior rugby and throughout the club teams. From U15 upwards there is also a mentoring program available to offer advice and guidance on areas such as S & C and core skills. This process helps players of all standards benefit from the clubs commitment to player development. We currently operate three successful senior teams, a ladies team, a Colts team and Girls U18 team. There is also 12 Junior age grades and finally the Vets team. Rugby shares a great passion for the game and the traditional values of teamwork, fair play and creating friendships. Interested in joining Harrogate Rugby? Are you interested in playing rugby? “Take pride in the development of all our rugby family, both on and off the pitch. Creating positive change and lasting memories"